The William Cooper Procter residence built c. 1910 in Amagansett. 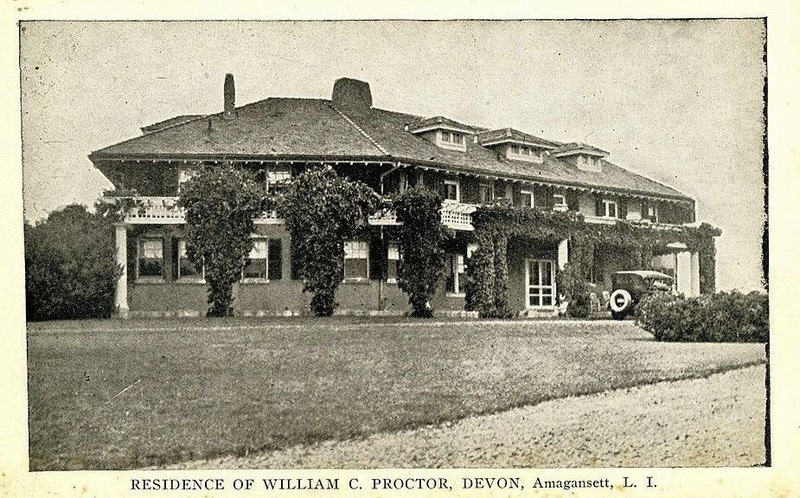 Procter, a grandson of William Procter and president of Procter & Gamble, was one of the founders of the Devon colony along with Richmond Levering of 'Devon' which sat next door. Click HERE to see the Procter residence on bing. Like its neighbor this house is well preserved & maintained -- congratulations to the owners. & like many houses, large & small, I'm guessing the front door to this house is rarely used [anymore] ... one of the lifestyle changes brought about by the automobile.